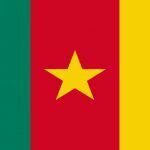 HTTTC ENSET Bambili Registration forms 2019-2020 competitive entrance exam Cameroon (Fiche de candidature – Formulaire d’inscription). 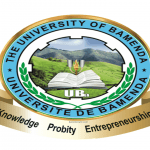 COMPETITIVE ENTRANCE EXAMINATION INTO HIGHER TECHNICAL TEACHER TRAINING COLLEGE (H.T.T.T.C)– BAMBILI-BAMENDA. HTTTC – ENSET Bambli Registration form Year 1 First Cycle. HTTTC Registration form Year 3 first Cycle. Greetings, please I wish to find out if it’s possible for one to go in for ENSET department of ICT second cycle with a degree in Microbiology ( mastery of mathematics) ??? please I will be grateful if I obtained a reply on time!!! greetings please I wish to ask for the date when the enset exam will take off?